Palazzo Del Sol – Luxury Condominium in Fisher Island that turns lifestyle dreams into reality with the private, world-class environment of the privileged few in one of the most exclusive communities in Miami. 47 customizable residences that range from three to seven bedrooms per unit, elegantly distributed in 3,800 to 9,800 square feet, starting at $6.5 million. Built in the exquisitely restored Vanderbilt Mansion, a Mediterranean-style piece facing the Atlantic that was built in 1936 and designed by the renowned Maurice Fatio. The building became the heart of the Fisher Island’s Community and is pure elegance composed of intimate salons and outdoor terraces surrounded by villas and historic cottages. An architectural extension of the nature surrounded by crystal waters and terraces that serve as a stage for those who witness unforgettable panoramic views of the sunsets, the beach, the bay, the island and the city. The landscape is an oasis with tropical greens, flowers, gardens, ponds and other elements that create an ideal place for resting, relaxing and the social activities of those who inhabit it. The Largest Apartment is just under ten thousand square feet. It´s a seven bedroom home seven and a half bathrooms, Italian furnished, with exquisite materials like slide limestone that gives the social areas a desert-like look. Decorating bookcases separate the main room from the super-stylized billiard room with elegant ceiling fixtures. The Kitchen is also Italian with custom made eight-foot tall doors to fit with the 10 foot high ceilings. The Dining Room is fit for royalty, European and elegant. The Breakfast Nook can double as a second dining room and leads its residents outside to a spectacular view of the Atlantic Ocean we’re all boats and ships come into the port of Miami. The Master Suite has a beautifully designed sitting area with a turquoise rug that picks up the colors of the water in the ocean while the four-poster bed is trimmed in leather with wood walls. The Master Bathroom is all white marble with floating double sinks and an Italian designed bathtub. An oasis of 216 acres minutes away from downtown Miami and Miami Beach, accessible only by yacht, auto-ferry or helicopter with a mile of white sand beaches and tropical life in the southern United States, where millionaires are attracted by the renowned Fisher Island Club and the luxurious life style of the community. There are seven dining establishments ranging from casual to elegant for every palate and occasion: Beach Club, Café Porto Cuervo, City View Café, Garwood Lounge, Golf Grill and Sunset Bar Sushi Bar. A member of “The Leading Hotels Of The World” houses four historic cottages, six courtyard villas and a guest house with junior suites. Designed P.B. Dye is a par 35 championship golf course with double-ended driving range, putting green, club house, pro shop and golf grill. The community park is composed of: exercise area, dog park, children’s playground, Basket-ball court and Volleyball Court. Fully accredited private school with Pre-K through fifth grade. World-class Tennis facility with 18 lighted courts: 2 grass courts, 2 hard courts and 14 hydro har-tru courts. 24,000 square-foot Mediterranean-style spa retreat covering health service, wellness service, fitness center, personal training and aqua therapy. Two marinas with 100 slips: One residents only marina and one deep-water marina accommodating yachts over 200 feet. A waterfront dining and retail destination set along the island’s resident marina hosting the Island market, La Trattoria, Café Porto Cervo, Regions Bank and Rey’s Dry Cleaners. Corporate Board Room that comfortably accommodates up to 40 people, fully equipped with audio-visual technology. 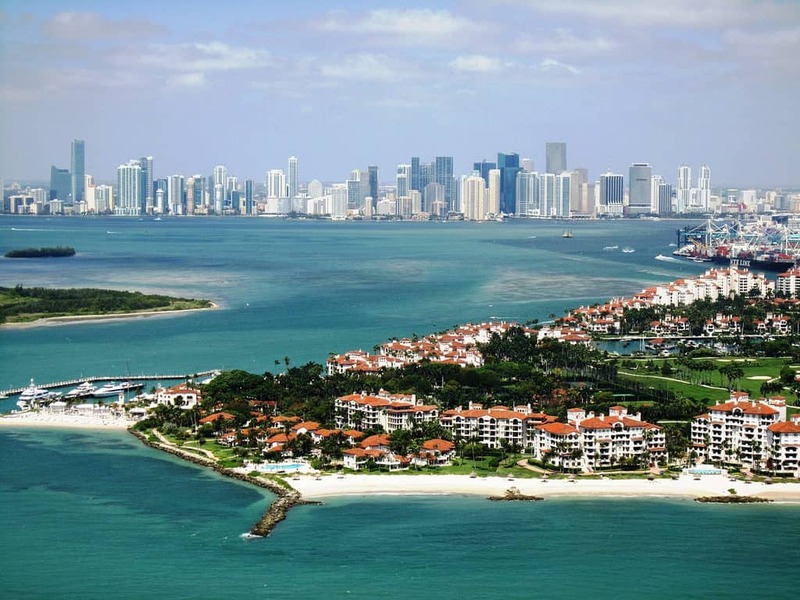 If you are interested in a project like Luxury Condominium in Fisher Island, Ivan and Mike also recommend you to have a look at 57 Ocean Miami Beach and Eighty Seven Park Miami Beach. 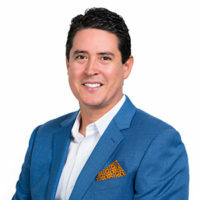 You could also like to see the Ivan and Mike Miami Beach Top Realtors profile, experience and beginnings in the Real Estate Industry. Or see their Linkedin profiles: Michael Martirena and Ivan Chorney.